I was born in Connecticut but grew up in TC area. U of MN grad, worked for MN gov’t, married/divorced twice. Fell apart, got sober and moved to CA to recover. Thanks God - sober 16 years. Worked in real estate- moved back to MN at the end of last year. No! I thankfully am fully retired and get to quilt just for the love of it. I have a very large extended family and new babies arrive once or twice a year! They and other family members get most of the quilts. I made quilts for a Ronald McDonald kid’s camp in CA as well as quilts for Quilts of Valor. I do not sell my quilts as my skill level is not up to the task of turning out quilts I would feel comfortable selling. Do you have other hobbies, crafty or otherwise? Other hobbies and interests include collecting gemstones (well more of a wish as I have only a few common ones! ), reading, going to museums, the symphony, opera , and reading spy and “who dunnit ” novels. I like solving puzzles. Travel is on the wish list. 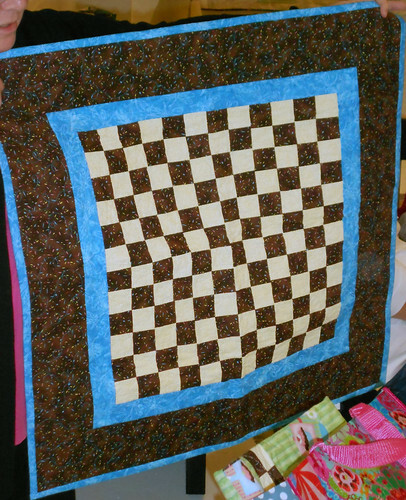 How long have you been quilting, and how did you learn? When I was in my twenties (a few decades ago! ), I tried a sample quilt for a hot minute and gave up right away as it was apparent that I was too challenged to actually have corners meet. In 2004, a friend and I decided to buy homes in AZ and make money. More about that delusion another time! I would be having a spare bedroom and I decide to make a bed skirt in earth-tone colors. See the picture. I rigged up a pattern where there would be none of this corner matching nonsense. It was a most laborious process and I ended up with too many squares left over. It took me two years and I vowed no more quilting. Upon moving back to CA in 2009, I retired completely and needed something to do. I found a quilting group at the senior center and thus began my most recent sojourn into quilting. The ladies were kind enough to give me ideas on designs and techniques, and slowly I have learned. 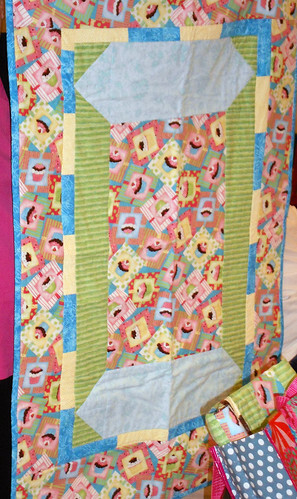 When you look at my quilts, you will still see a sparing use of corners that meet! My challenges in quilt making are primarily cutting. I still need to measure and cut. Rotary cutting seems to escape my talent level! I enjoy the design process the most and putting together the pieces. I rarely follow a pattern and enjoy trying to design something new and different. I think this is why I like Modern Quilting methods. This appeals to me because the designing is within my limited abilities to actually execute. How many quilts do you think you have made? I would guess I have done about 20 completely myself and completed many more blocks for exchanges and Quilts of Valor. 1. A red/white/ and blue quilt with appliqued birds that I designed myself. Awaiting professional quilting when pocketbook is right! 2. Baby quilt in goofy fabrics with blues, greens, and reds. I am in the process of hand quilting. 3. Another baby quilt in the process of being appliqued with blanket stitch. Hopefully arranged more in the modern style. 4. I have many more half/formed ideas for fabric purchases made in the past. I would say I actively piece/cut fabric/do quilting for an hour or so a day. More time is spent daydreaming about future projects but I have to limit it. 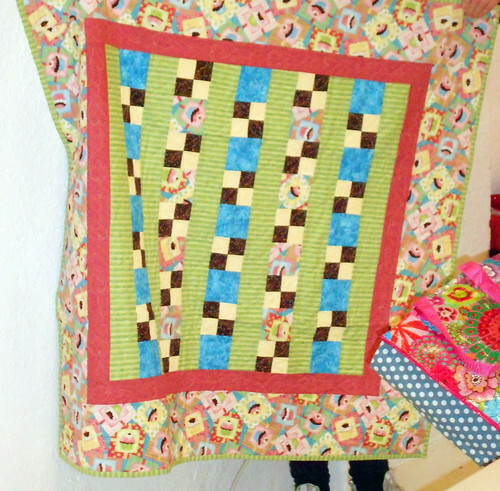 My first quilt, other than the bed skirt, was one for the Ronald McDonald kid’s camp in Idlewild, CA. It was some boxed out squares that required no corner matching. It was 54”X72” to fit the camp beds. I tied it rather than try to quilt it. 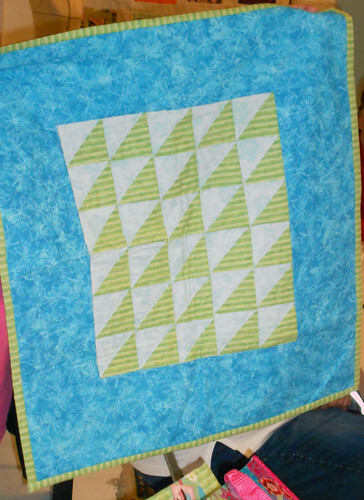 All my first quilts were tied. Which quilt is your favorite and why? The first more artsy “modern type” quilt I made was a two-fold endeavor. I first made a table runner/dresser scarf one (see picture). Then I made a matching lap quilt with some of those left-overs and some cream fabric to lighten it up. Both were moody and different. When it was finished, I thought it would be perfect for my friend in SD. I surprised her with it a few weeks ago and she was blown away so I must have guessed right. I have a small metal plant stand table that is just big enough to have a sewing machine sit on it. It currently sits in the middle of my living room window which looks out over Richfield Lake and its walking trails. I live on the 6th floor of a senior condo hi rise bldg. so my view is if the trees and sky. My fabric is squished into my TV armoire and bookcase unit cupboards. Plus, a few other spots around the house seem to have fabric or quilting supplies tucked into them! Describe your fabric buying habits and how you manage your stash. I tell myself I am only buying fabric to complete fabric projects currently on my drawing board but that conception is not without difficulties!! I find myself perusing many on-line fabric sources as well as willing to buy on speculation at brick and mortar stores like Sewtropolis. So when I have a few extra dollars to spend I seem to have no trouble doing so. I did buy several books recently which give clues on managing your stash and ideas for stash busting quilts. We shall see!!!! What is my favorite thing about quilting? I love color and how arranging it can make you feel. I am all about the feeling and mood of a piece. Design has always interested me. However, it can be frustrating when you know the general idea of what you want but seem unable to execute it. What are one or more techniques you’d like to learn? One day I will need to concentrate on the practice of rotary cutting but just not today!! I would also like to learn a Japanese embroidery technique called Sashiko. I would like to see how I might incorporate that into a modern quilt!! A quilt I saw in the Fallbrook, CA quilt show was spectacular. It was black with multi-hued, bright bali pops appliqued and this embroidery setting off the design. Awesome. I feel most energized to create when I am with others doing the same thing. I get ideas and enthusiasm from anyone who is engaged in an artistic pursuit. 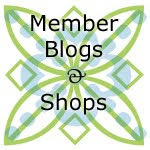 I love to go to quilt shows and meetings where I can see what others are doing with quilting. I would love to go to the show coming up in Austin, TX. Perhaps next year! Advice to a new quilter? There is no idea, question or way of doing things that cannot be expressed. The great thing about design, quilting, etc. is that all are welcome to try anything they want to do. 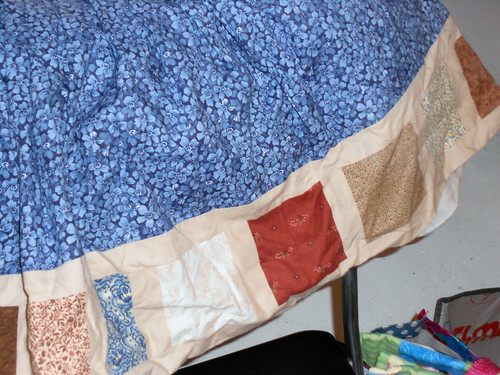 There are no quilt police – only other quilters willing to help if you ask. New Project – I have started a group at the senior condo where I live. It will meet on Wednesdays from 12:30 to 2:PM or so. First meeting is Sept. 19th. It will be lunch and craft. We will let knitters etc. in too from the bldg. and others who have time in the day are welcome. I hope to encourage a few projects for kids to be given to charities. First meeting will have desert and coffee available. Thanks for writing about yourself. You sound like an open minded person willing to take on new artistic projects!